To complement our on-site training and mentoring, UE offers custom e-learning courseware creation optimized for scalable, enterprise learning. While UE organized Sitefinity and WordPress trainings delivered on-site or remotely are a better option for bringing core teams up to speed with a WCM platform, custom e-learning courseware is optimized for organizations with large and often geographically spread-out teams. Such a form of training is crafted exclusively for your organization and your unique WCM solution. It will provide your employees with bite-sized training and on-demand information, engaging learners directly and improving long-term use. 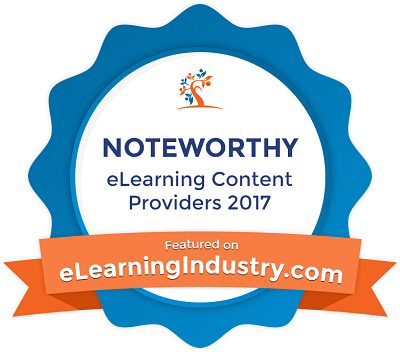 To create top grade, custom tailored Sitefinity or WordPress courseware we put together our senior experts together with e-learning gurus from eWyse who have been voted #4 on the list of best noteworthy e-learning companies in the world. Custom made learning content can be published in your LMS or our Moodle-based LMS designed to keeping current corporate training needs in mind. We built it on a scalable architecture to support distributed learning and drive productivity through continuous engagement.